Dr. Miedema was inspired to pursue a career in medicine after working with his father on medical missions in Haiti. He chose the specialty of Physical Medicine and Rehabilitation (PM&R) as it provides the unique opportunity to come alongside patients as they recover from injury and return to function. After residency, Dr. Miedema pursued further training in Interventional Spine Care and Pain Medicine at UCLA where he completed a prestigious one-year ACGME-accredited pain fellowship earning the ‘Fellow of the Year’ award. He is double board-certified in Physical Medicine and Rehabilitation and Pain Medicine. 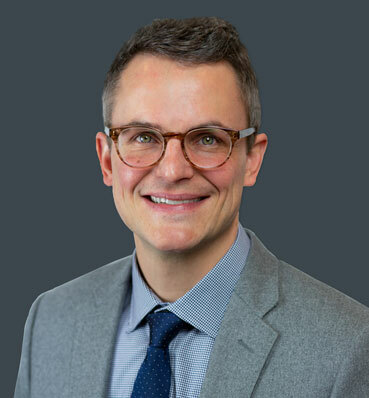 Dr. Miedema’s expertise is in non-operative spine and orthopedic care, specifically spinal injections, epidural injections, nerve blocks, joint injections, radiofrequency ablation, spinal cord stimulation, regenerative orthopedic medicine (i.e. stem cell injections) and electrodiagnostics (EMG/NCV). Dr. Miedema’s philosophy is patient-centered, focusing on education and using a multidisciplinary approach to relieve pain and restore function. Outside of work, Dr. Miedema enjoys spending time with his family and all the outdoor activities NWA has to offer.